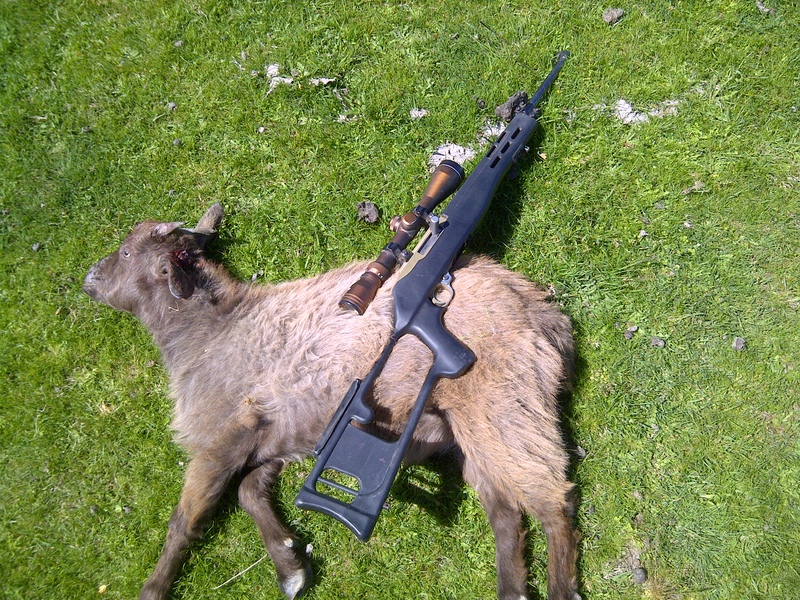 semi auto rimfire for hares and bunnies ????? Thread: semi auto rimfire for hares and bunnies ????? I was all set to build or buy a Ruger 10/22 in a PMACA chassis for when I go spotlighting Bunnies and hares (which I am doing more and more as it's great fun and my kids can join in). However I have been put off on the feedback about how terrible accuracy wise the good ol reliable 10/22 can be. I currently use a jw15 which punches well above it's price would dictate in the accuracy department. I was thinking of going semi as often we are in a target rich situation and having a semi would allow multiple shots to be taken quicker. where we spotlight we are rarely shooting outside of 40 yards often much much closer (spotlighting off a ute). Occasionally if I feel like being challenged I might go for the odd feral cat outside of 50 yards or the occasional hare at similar distances. is there a better option as far as semi auto goes in 22lr or 17hmr ? Am I just pouring money into a tacti-cool hole that will be less than accurate @ 5x the cost ? we keep the meat off the hares so accuracy is important, I like to head shoot them wherever possible. Last edited by dannyb; 24-02-2019 at 02:26 AM. The 10/22 is not that bad, well some of them anyway, the marlin semis do however consistently outperform them accuracy wise. Even the cheap mossberg 702 (magtech) isbloody accurate. Torches like the magtech are light enough to be clamped directly to the barrel and provide plenty of light out to 100 plus. If you want function and accuracy then go for the Marlin 795 and do a trigger job on it at home. If you want a whole lot of bolt on parts and less accuracy out of the box then go the ruger. I do like the mags on the ruger though. gadgetman, 10-Ring, timattalon and 1 others like this. I run a couple of 10/22's and they go extremely well. I had a nice BRNO semi-auto once but sold it as I got sick and tired of feeding problems, bought another 10/22 and never looked back. I go through between 1,000 - 2,000 rounds in each rifle per year and only have maybe... 2 or 3 miss-feeds per rifle per 1000 rounds. Typically this is an outgoing case not quite making it out the door as the bolt closes. Off the shelf I think the above comments are correct in that they're not as accurate as the Marlin. The first thing I would do is a quick trigger job. Either buy a nice aftermarket trigger group or polish you own. I did the later and WOW, what a difference. The polishing wasn't difficult and it made such a difference that I wouldn't hesitate doing it again. With the trigger job done they're as accurate as any other rifle. After that, the 10/22 is eminently customisable. Like the AR platform the aftermarket toys are limitless. For that reason they're hugely popular and fun to tinker with. If you're in town, call in and you can have a play. i have owned many a 10/22. currently have 2.
one is stainless is a hogue stock, the other blued in a dragunov stock. both shoot well, and are reliable. I've had my 10/22 for over 30 years and never had any problems with the rifle or accuracy. I did have a sticky magazine that caused sporadic issues until I finally got rid of it, but if the mag fed the round into the chamber it always worked from then on. It even rain for over 20 years without ever being cleaned! I don't understand all these stories about bad accuracy, I've never seen another .22LR that will outperform it in a rabbit shooting scenario. Yeah maybe on a bench at a range, but out on the job doing fast shots from standing position I doubt any alleged marginal increase in accuracy from another rifle would make a practical difference. the other blued in a dragunov stock. I've wondered about those, do they improve the rifle much? I've got one on my SKK which is a huge improvement over the standard SKS stock, but is it overkill for a 10/22? Any chance of a picture? Marlin 795 served me well for years.avoid tube mags if in and out of vehicles. My 10/22 has an ati dragunov, biggest improvement ever. The original paddle plastic one was awful. For freehand shooting it makes the rifle "point" and handle so much better. Also for the op how i mount barrel light. Its easy to turn off and on with your weak hand. I own and have owned a number of accurate .22 rifles , even competed for a while at state level .22 Benchrest comps here in OZ . I could be wrong but I suspect I would have to spend many $ altering and customising the 10/22 to get it even close to my old pre war Walther sporting rifle for example , and my comp gun ...well just forget that . I recently purchased a Tikka T1 and straight out of the box it makes the 10/22 look silly in terms of accuracy and extends the distance of head shots out by quite a margin . For a rabbit hunting tool a bolt action wins everytime for me no matter how fast and furious the hunting action is . The 10/22 is just fun and is my possum gun where the distances are short , or as a tin can destroyer where burning up ammo is the name of the game . I have a Marlin 795. The trigger started out quite heavy, not a help for shooting accurately. Over time and with some use, it has smoothed out of its own accord. Quite useable now. As for mounting a torch, there's not really any place on the stock that lends itself to do that. Mounted on top of the scope would seem to be the way to go. 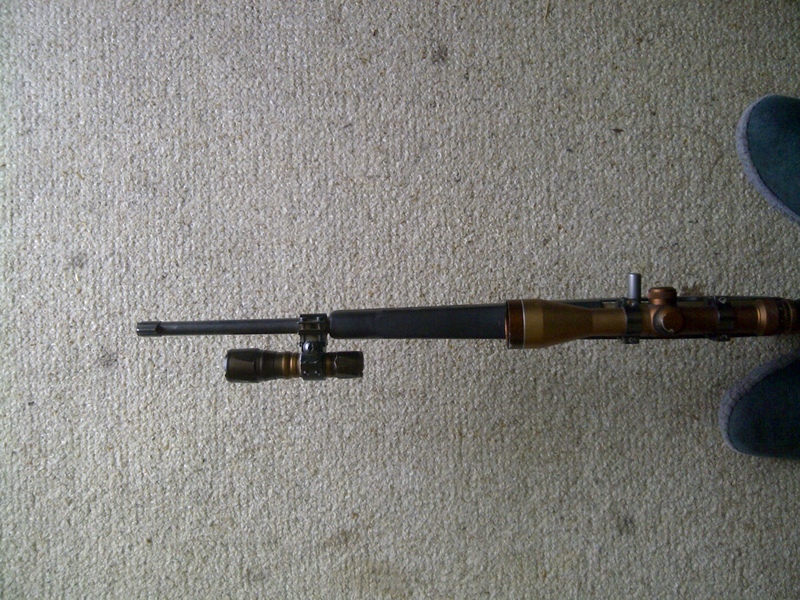 I have a Marlin 49DL that hits most things up to 100 metres reliably. The one thing that needs constant observation is the loading of the thing, as with all firearms. It has no lock open on last shot and the loading of the tube mag. There's some uneasy when unlatching the rod when your fingers could linger over the muzzle. never had a Marlin 795 but I think that's what I sorted for my uncle years ago. he's happy with it. Doesn't shoot targets but it always hits the possums and hares etc he aims at. I am hearing that it is preferable to get the earlier ones than the later models. Something about the plastic trigger housing, but I have no idea when that started. Nor'wester stirring up the hares and bunnies ? Looking to buy .223 Rem semi-auto, which one?